The IRS, in 2012, expanded its Fresh Start Initiative, to help taxpayers who are unable to pay their taxes due to financial constraints. The initiative, in addition to providing relief to American taxpayers, also helps the IRS keep a check on the number of tax default cases, as it encourages more taxpayers to pay their dues. What Reliefs does the IRS provide? 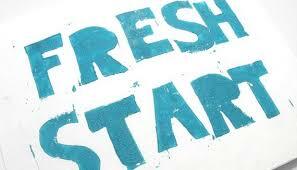 The IRS, under the Fresh Start Initiative, provides a number of reliefs to financially-distressed taxpayers. The initiative allows eligible taxpayers up to a 6-month extension to pay their taxes. The penalty for not paying the taxes by April 15 is waived off until October 15. If, however, the taxpayer fails to pay the taxes beyond the revised date, a penalty is charged. Wages earning individuals who have been unemployed for a minimum of 30 consecutive days. Individuals who experienced a dip of 25 percent or more in their income due to a slowdown. If you are married and filing jointly, your adjusted gross income must not exceed $200,000. If your filing status is single, qualifying widower, head of household, or married filing separately, the adjusted gross income must not exceed $100,000. In addition, if you have an outstanding of more than $50,000, you will not be qualified to receive a waiver. The irs installment agreement provision allows taxpayers to pay their taxes, in installments, in a scenario wherein they are unable to pay in full. It also gives taxpayers more time to pay. The threshold for the maximum amount of debt against which an installment plan can be prepared has now gone up from $25,000 to $50,000, with the maximum term for the repayment of installments being 6 years. Though you need to pay less in penalties, the interest will continue to accrue on your outstanding dues. Taxpayers can set up an installment agreement using the Online Payment Agreement without any intervention of an IRS assistor. It is, however, essential that they agree to pay the installments through a direct debit mode. The provision allows taxpayers to settle their outstanding taxes for less than what they actually owe to the IRS. After the expansion of “Fresh Start” initiative, it has become easier for taxpayers to qualify for an Offer in Compromise, as the IRS has relaxed the qualification standards, and therefore, more people are now eligible for the relief. To apply for an OIC, the taxpayer needs to file Form 433-A (OIC) or Form 433-B (OIC), and deposit a non-refundable application fee of $186. If, however, the taxpayer qualifies under the Low Income Certification guidelines, they would not have to pay the application fee. In addition to the form and application fee, the taxpayer may also be asked to pay the first month’s installment or 20 percent of the settlement amount, at the time of filing. Should you have any questions or wish to learn more about IRS Fresh Start Initiatives, feel free to connect with us for a round of no-obligation consultation in Dallas, Fort Worth, Houston TX and nearby areas. Simply call (972) 484-0829.